A map shows Atush city in Xinjiang’s Kizilsu Kirghiz Autonomous Prefecture. A group of five Muslim ethnic Uyghur men who sport “crescent moon-shaped” beards are on trial in northwestern China’s Xinjiang region for “religious extremism” after they were found to have secretly attended unsanctioned Islamic sermons, according to a Uyghur member of the ruling Communist Party. Kurbanjan Omer, a well-known spokesman on official government positions to the Uyghur community, told RFA’s Uyghur Service that he attended a court hearing for the five men last week in Kizilsu Kirghiz Autonomous Prefecture’s Atush (in Chinese, Atushi) city. “The five were accused of ‘illegal religious activities’ because they secretly attended so-called ‘tebligh’ [religious sermons delivered by extremists] and all wore ‘crescent moon-shaped’ beards” in an apparent reference to the “star and crescent” symbol that had been used by two short-lived Islamic republics in the region, he said. The Atush City People’s Procuratorate recommended at the hearing that the five men, aged 25-45, be handed sentences of between one and three years in prison, he said, adding that a final verdict would be delivered at their next court appearance. According to Omer, crescent moon-shaped beards are “increasingly popular among the young Uyghur generation,” and those who sport the style of facial hair—known as “ay-saqal”—are monitored by the local government. “I consider their behavior to be at the border of ‘religious extremism’ and it deserves punishment,” he said. Chinese officials frequently describe Turkic-speaking Muslims from Xinjiang as separatists and terrorists. They have restricted Uyghurs in some parts of the region from wearing burqas, head scarves, veils and beards. Omer, who regularly gives lectures on “fighting terrorism” and “ethnic unity” in Xinjiang, said he enjoys a close relationship with the region’s Han Chinese officials and would continue to defend Beijing’s policies, despite being “targeted for revenge” over his views by members of the Uyghur community. Uyghur rights groups accuse the Chinese authorities of heavy-handed rule in Xinjiang, including curbs on Islamic practices and the culture and language of the Uyghur people. Last month, two successive suicide bombing attacks which killed six people and injured four others at a security checkpoint station in Hotan (Hetian) prefecture’s Lop (Luopu) county may have been motivated by “anger over the restrictions placed on the wearing of veils and beards,” a local police official told RFA at the time. The primary function of the security checkpoint was to inspect “extremists” sporting the head coverings and facial hair, police said. In August last year, authorities in Karamay city prohibited people with beards or those wearing Islamic clothing from traveling on public transportation, prompting anger from the Washington-based Uyghur American Association (UAA), which called the policy “racist” against Uyghurs. Chinese authorities have blamed the terrorist group East Turkestan Islamic Movement (ETIM) and “separatists” from Xinjiang for a series of attacks in the region which have expanded in scale and sophistication in recent years. Reported by Eset Sulaiman for RFA’s Uyghur Service. Translated by Eset Sulaiman. Written in English by Joshua Lipes. Bir nepes hörlük üchün, mingbir quyash……. Shunga ” 1 ‏-mart ” künming weqesining bir yilliq xatire künide weqede shéhid bolghan we esir chüshken 8 qérindishimizgha we ularning a’ile-tawbatlirigha hörmet bildürimen. Bir hilal ugruna ya rab, ne guneshler batiyor! Bir hilal üchün, ya rebbim, her quyashlar patidu! Meshhur sha’ir mehmet akif ersoy bir hilal üchün yeni musteqilliq üchün hayatidin ayrilghan her bir eskerni bir quyashqa oxshitiwatidu bu shi’irida. Bir nepes hörlük üchün, mingbir quyash patidu! Shundaq, eger chanaqqel’e urushida miltiq-zembirek bilen düshminige qarshi atlan’ghan bir jengchini bir quyashqa oxshitishqa toghra kelse, düshminige palta pichaq bilen atlan’ghan pida’iylirimizni mingbir quyashqa oxshutush artuqche emes. Chünki türk eskerliri jengge atlatghanda ularni kütüp turghan aqiwet ikki:ya shéhid, ya ghazi; Pida’iylirimizning aldidikisi bolsa ya shéhid, ya mehbus! yeni birla xil aqiwet: yoruq dunya bilen, dunyawiy hozur halawet bilen menggülük widalishish. 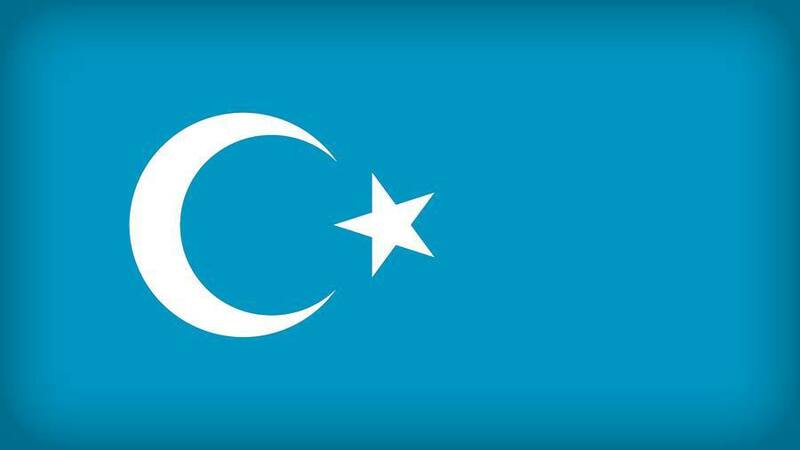 Shundaq, bularning öltürgini esker emes puqra, shundaqtimu hörmet bilüdürimen; Shundaq ,öltürülgenler ichide uyghurni chala bilidighan we hetta sherqi türkistan dégen namni anglap baqmighanlar bolushi mümkin,shuningdimu pida’iylarni eyipke buyrimaymen; Shundaq puqralargha hujum qilghanni dunya jama’iti yaxshi körüp ketmeydu, yenila ularni hörmet bilen yad étimen. Chünki ularning shu hujum pilanini tüzgendiki muddi’asini, héssiyatini, bolupmu shara’itini bir uyghur bolush süpitim bilen toluq chüshüshinimen. Weqede ölgen puqralarning jawapkari süptide- xuddi bir xitay tordash yazghandek- milletler ara nepretni mushu derijide ulghaytqan we uyghur pida’iylarni hujumda nishan özgertishke mejburlighan xitay döliti dep tonuymen. Künming hujumuning mohim bir özgichiliki shuki, neq meydandiki 5 hujumchining ikkisi ayal, yeni sepning yérimi ayal. Téxi xewerlerde déyilishiche shu küni xenjirini eng rehimsiz, eng chebdest oynatqini 18 yashqa ya kirgen yaki kirmigen patigül toxti. Kunming weqesidiki ikki qizning aydek yüzige, qusursiz boy-postigha we yigitlerning ot chaqnap turghan közlirige qarighinimda ulardiki yene bir qehrimanliqqimu qayil bolimen: éniqki bular tonushup bir idiyege kelgiche, hujum pilanini tüzgiche we planni ijra qilghuche ariliqta köp qétimlap hemsöhbet we hemseper bolghan; Mana mushu jeryanda hissiyat jehettiki insaniy ajizliqlardin özini xaliy tutalighan, sheytaniy wes-wesilerning bélige tépeligen , shunga bu qehrimanliq dastanini yaritalighan. Ularning shu yash, shu turq, shu jamal, shu roh haliti bilen dunyawiy hayatning shirin lezzetliridin özini uzaq tutalishi, menche ular bashtin kechürgen we ghalip kelgen yene bir jeng meydani. Shundaq ikki qiz, 3 oghul qerimanimiz, 29 kishini öltürüp, 140 kishini yarilandurushtek aqiwet pichaqliq hujum tarixida, milliy qarshliq herkitimizde, hetta uningmu sirtida bir rékord yaratti; Tunji qétim, xitay memliketlik xelq qurultiyida wekiller we dölet erbabliri ehli jahan aldida, uyghur pida’iylar keltürüp chiqarghan bir aqiwet seweplik köz yéshi qildi, qurbanlar üchün teziye bildürüp, sükütte turdi, béshini egdi, bu yerde égilgen bash,dunyagha xoja bolimen dep boyni ghadiyiwatqan bir bashlar idi. Bular kim? Bular : abduréhim qurban, iskender exet, turghun toxtiniyaz, hüsen memet we patigül toxti; Neq meydanda shéhid bolghan bir qiz, ikki yigitning isimliri hazirche melum emes. 8 neper pida’iydin 3 nepiri, yunnen chigrisida 27 ‏-öktebir küni tutilidu, qalghanliri, tutulush we étilishni kütüp olturushning ornigha, poyiz istansigha hujum qilidu; 4 i shéhid, biri mehbus. Ey bu toprak ichin topraga dushmush asker! Gokden ejdat inerek opse o pak alni deger. Pütün uyghur jem bolup pishanengge söyse erzigey! 2015-Yili 29-May küni ijtihatliq tarixchi toxti muzatning yürek késili bilen tuyuqsiz wapat bolghanliq xewiri tarqaldi. 1998-Yili xitay dairiliri teripidin «dölet mexpiyetlikini oghrilash» jinayiti bilen tutqun qilinip 12 yilliq qamaqqa höküm qilinghan we kéyin qoyup bérilgendin kéyinmu, yaponiyege chiqip ailisi bilen jem bolushigha yol qoyulmighan uyghur tarixchisi toxti muzatning ölüm xewiri uni yéqindin bilidighan uyghurlarni échindurdi we qayghugha saldi. Emdila 52 yashqa kirgen tarixchi toxti muzatning waqitsiz ölümi uyghurlarni qattiq échindurdi we qayghugha saldi. Nöwette féysbok, ündidar qatarliq ijtimaiy alaqe torliri we uyghur diyari we sirtidiki uyghurche tor béketliridiki munazirilerde merhumning uyghur tarixigha ait tetqiqat maqaliliri, kitabliri eslep ötülgendin bashqa, merhumning tuyuqsiz ölümi we uning yürek késili bilen wapat bolushigha qarita her xil pezerler otturigha chiqmaqta. Chetellerdiki uyghur ziyaliyliridin shiwétsariyediki doktor abdushükür abduréshit ependi we amérika indiana uniwérsitétida tarix penliri doktorluq kespide oquwatqan qurban niyaz ependiler ziyaritimizni qobul qilip, merhum toxti muzatning yürek késili bilen waqitsiz ölüshige, uning 10 nechche yilliq türme hayati we qoyup bérilgendin kéyinmu, yaponiyediki ailisi bilen jem bolushigha yol qoyulmay, éghir teqib astida yashashqa mejbur bolushi seweb bolghanliqini ilgiri sürdi. 2012-Yili yaz peslide yurtigha tughqan yoqlashqa barghinida, merhum tarixchi toxti muzat bilen axirqi qétim körüshüsh pursitige érishken shiwétsariyediki doktor abdushükür abduréshit ependi, eyni chaghda merhum bilen bolghan söhbetni eslep, toxti muzatning uninggha, özining türmidin qoyup bérilgendin kéyin qaytidin tarixi tetqiqat pursitige érishken bolsimu, emma öz ehwalidin razi emeslikini bildürgenlikini bayan qilip, türmidin qoyup bérilgendin kéyinmu dawamliq bésim we teqib qilish ichide tetqiqat élip bérishqa mejbur bolghan merhumning ziyade qattiq ishlesh we éghir rohi bésim ichide yashishi, uning öz tetqiqat netijiliri we kitablirini tamamlashqa ülgürelmey yash turupla arimizdin kétishige seweb bolghanliqini tekitlidi. Ilgiriki xewerlerdin melum bolushiche, toxti muzat ependi 1998-Yili 2-Ayning 6-Küni özining yaponiyediki tetqiqat témisini tamamlash üchün kéreklik matériyallarni élip qaytqanda, béyjing ayrodromida tutqun qilinghan. 1999-Yili 3-Ayda ürümchi sheherlik ottura xelq sot mehkimisi uninggha «dölet mexpiyetlikini oghrilash» jinayiti artip, 12 yilliq qamaq jazasi bergen. Nöwette amérikining indiana uniwérsitétida tarix penliri doktorluq kespide oquwatqan qurban niyaz ependi, 1998-Yili toxti muzat ependi tutqun qilinghandin kéyin, «toxti muzatni matériyal bilen teminligen» dégen guman bilen 70 kün tutqun qilinip soraq qilinghan. Qoyup bérilgendin kéyinmu her xil bésim we tenqidlerge uchrighanliqi üchün axiri chetelge chiqip kétishke mejbur bolghan. Qurban ependi eyni chaghdiki ehwallarni eslep, toxti muzat ependige bérilgen matériyalning emeliyette, 1944-Yilidiki sherqiy türkistan milliy inqilabigha dair matériyallarning tetqiqatchilar üchün ashkara körüshke bolidighan matériyallar ikenlikini, emma dairilerning toxti muzat ependini yenila naheq halda 12 yilliq qamaqqa höküm qilishi, xitayda uyghur ziyaliylirining her waqit xewp ichide yashaydighanliqini we ularning erkin tetqiqat élip bérish imkaniyitining yoqluqini, toxti muzat ependining yürek késilige giriptar bolup, waqitsiz ölüshi bu heqiqetni ispatlighanliqini bildürdi. Yuqiridiki awaz ulinishidin muxbirimiz méhribanning doktor abdushükür abduréshit ependi we tarix penliri doktor oqughuchisi qurban niyaz ependi bilen ötküzgen söhbitining tepsilatini anglaysiler. Çin Halk Cumhuriyeti Milli Güvenlik Konseyi’nin China’s Military Strategy planı çerçevesinde yayınladığı Beyaz Kitap’da Doğu Türkistan Uygur halkının terörist olarak nitelendirilmiş olması kabul edilir değildir. Uygurlar tarihin hiç bir döneminde terörizme bulaşmamış, terörist hareketlere yeltenmemiş ve prim de vermemiştir. Çin Halk Cumhuriyeti Milli Güvenlik Konseyi’nin “China’s Military Strategy” planı çerçevesinde yayınladığı “Beyaz Kitap”da Doğu Türkistan Uygur halkının terörist olarak nitelendirilmiş olması kabul edilir değildir; Uygurlar tarihin hiç bir döneminde terörizme bulaşmamış, terörist hareketlere yeltenmemiş ve prim de vermemiştir. Günümüzde de halkımız ağır vergilerden, yargısız infazlardan, çifte standartlardan, inançlara yönelik yasak ve baskılardan, geleneklere yönelik hakaretlerden son derece rahatsız bir yaşam sürmekte olduğu hakikatini Çinli sosyal bilimciler de itiraf etmektedirler.